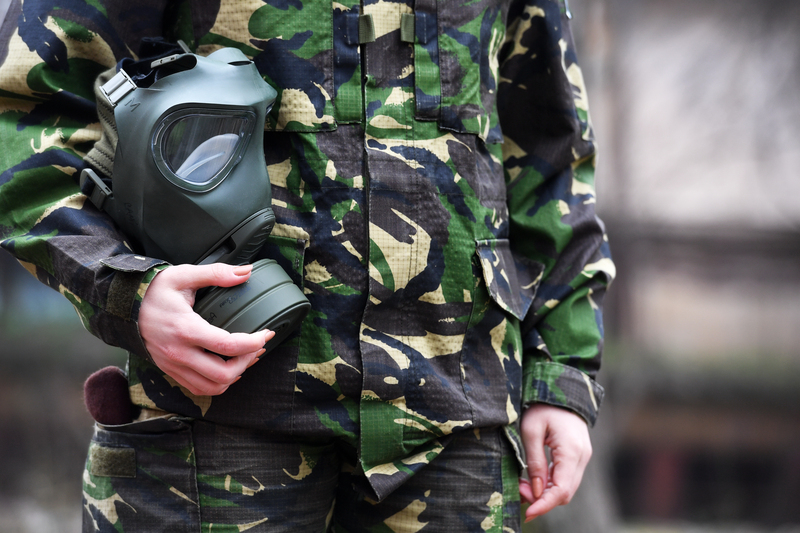 Chemical weapons have the potential to be deadly when breathed in or exposed to human skin. Recently, scientists have discovered a way for people to protect themselves from these harsh chemicals through their clothes. To make this possible, they coated fabric with a thin layer of a specific chemical mix. When exposed to chemical weapons, this fabric coating has the ability to absorb and neutralize them within minutes. Upon learning about this fabric coating, the U.S. military expressed interest in implementing it into the uniforms of soldiers. What’s Inside the Fabric Coating? This coating is made from a special chemical mix consisting of a metal-organic framework. “Such materials are composed of carbon-containing molecules attached to clusters of metal atoms. These materials have tiny holes, or pores, that can trap other chemicals.” Once the chemicals become trapped, the metal-organic framework interacts with them, breaking the chemicals down until they are harmless. Omar Farha, a chemist at Northwestern University, has done extensive research on materials that can hold chemicals and break them down so that they are less toxic. These materials include metal-organic frameworks, and his lab has identified ones that can be used to trap and break down toxic chemicals in clothing. This research captured the attention of scientists like Greg Parsons, a chemical engineer at North Carolina State University. He does research for the U.S. Army and saw the potential of using metal-organic frameworks in fabrics to shield chemical weapons. Using this metal-organic framework on clothing was going to be a challenge because the metal-organic framework doesn’t stick to the fibers in clothing. The material is similar to a powder, making it very easy to slide off clothing. While brainstorming a tactic to make the two materials bond to one another, Parsons looked at electronics. Specifically, he looked at computer chips, which use a crystal consisting of silicon coated with thin layers of materials known as metal oxides. In a process called atomic layer deposition, engineers expose the chip surface to small amounts of chemical gases. Then, the gases react with the surface and leave behind little quantities of metal oxide. As time passes, the process will completely coat the chip surface with a thin metal-oxide layer. Parsons and his team of scientists decided to try applying the same approach to making the metal-organic framework stick to fabric. To do so, they used atomic layer deposition in order to create a small layer of metal oxide on the fabric. Thus, the metal oxide allowed the metal-organic framework to stick firmly to the fabric. Now that they successfully got the metal-organic framework to stick to the fabric, it was time to test the coating with chemicals. Parson and his team exposed the fabric coating to a chemical that was similar to sarin, a poison that can be either liquid, powder, or gas. If sarin comes in contact with human skin, it can cause sickness or even death. With the fabric coating, people’s skin would be protected from the poison. The tests proved to be successful, as the coating captured the toxic chemical and broke them down in just five minutes. Despite the success the scientists had with this fabric coating in the lab, it is not yet ready for the soldiers or the general public. Parson and his team are still working on perfecting the chemical mix to treat clothing and more fabrics at the same time.